Fast Acting, All Natural Pain Relief. 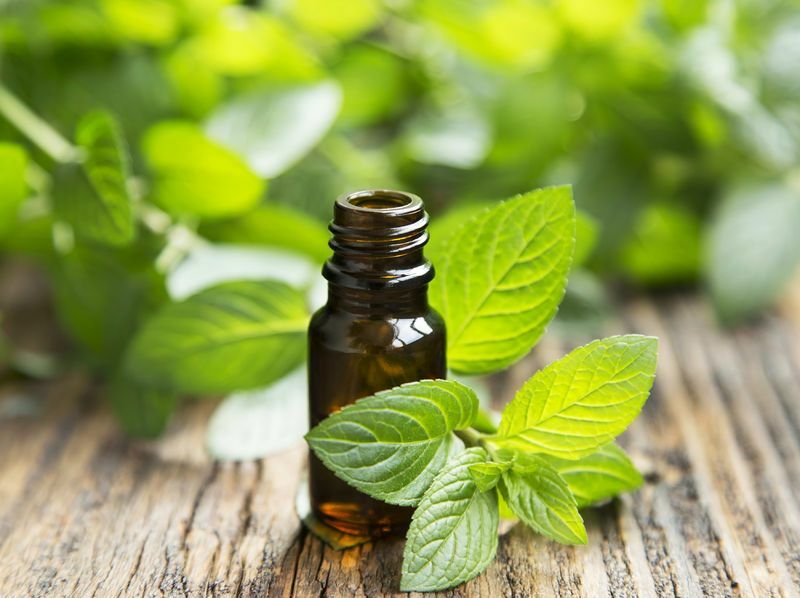 “Jeannie In A Bottle” is Highly Effective at treating head and neck pain, sore muscles and joint pain. 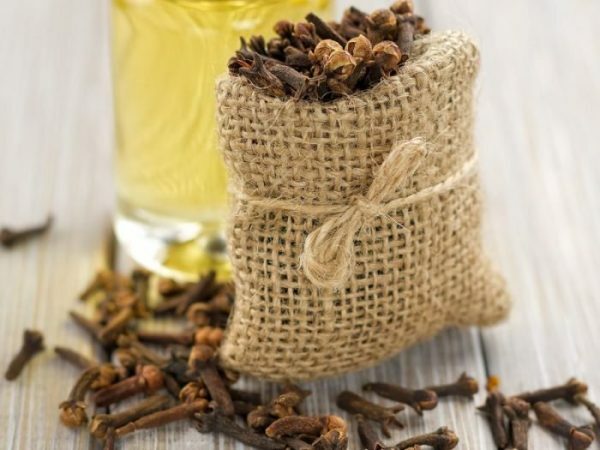 Quickly reduces various inflammation and can help a cold or chest flu. Spray on your neck and shoulders to relieve tension and stress. 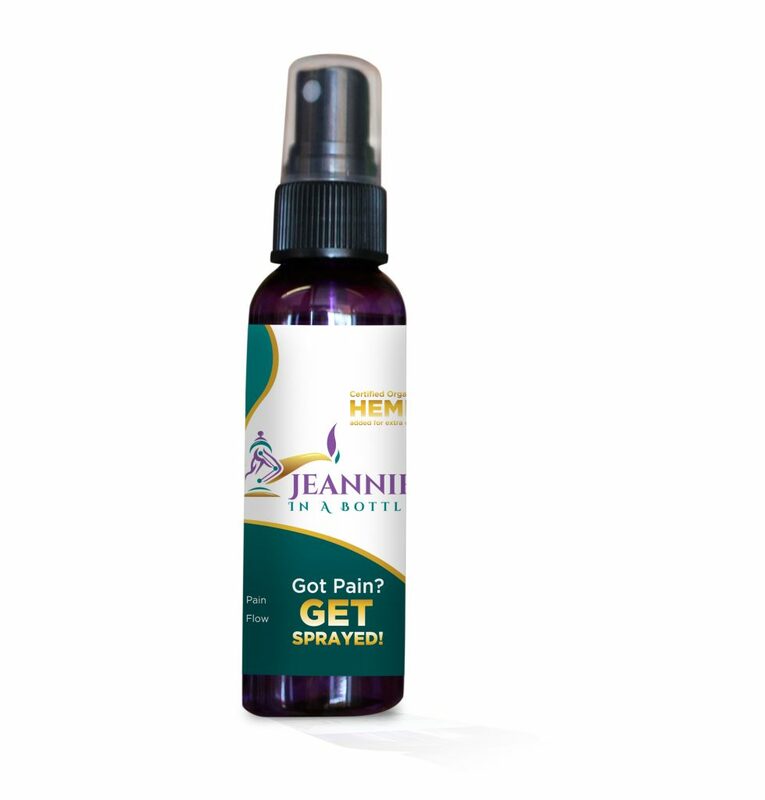 Jeannie has been a therapist since 1994 and has always had a passion about treating pain, she has always found the best there is in anything she does, and products she uses, Jeannie in a bottle is by far the best product out there with no chemicals and shelf life is forever, You just spray the area in pain and in seconds the pain is gone, most generally speaking,…This is awesome to use before you go to bed to help you relax and even sleep better. 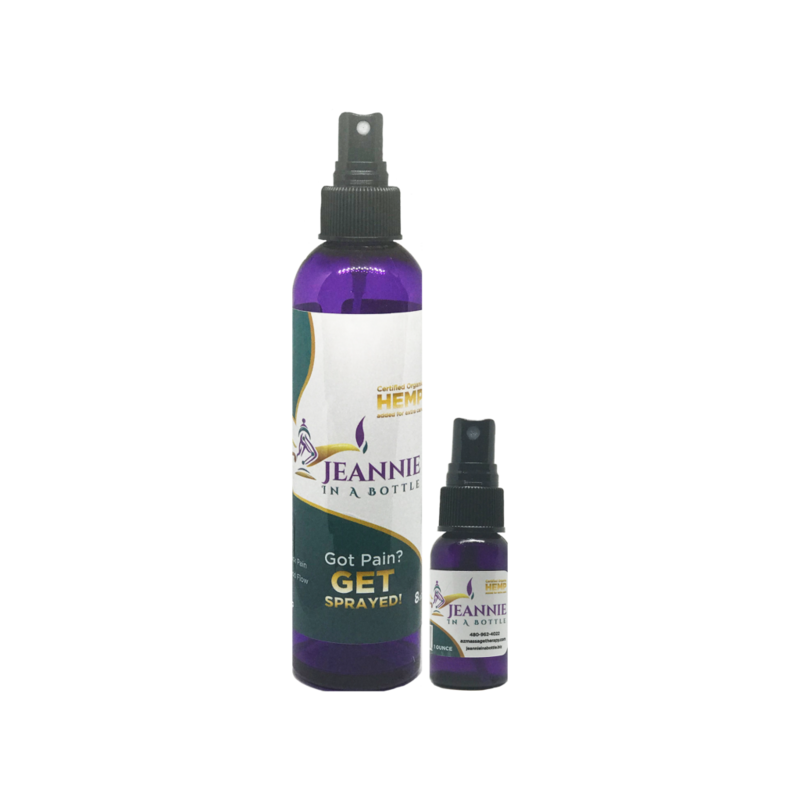 Using Jeannie in a bottle 3 to 4 times a day is the best effect you will find over time, you won’t need as much. 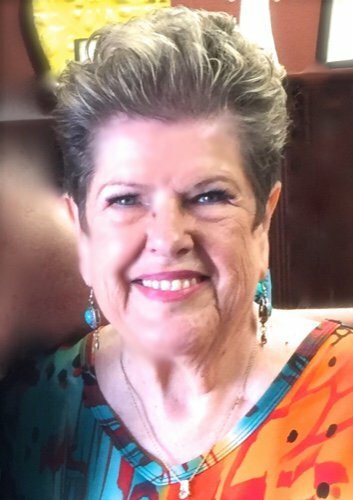 I stand behind my product and if for any reason you’re not satisfied, I will refund your money. Just send back the bottle, and let me know what you didn’t like about it. Thanks for giving it a try, I know you will love it like everyone else! 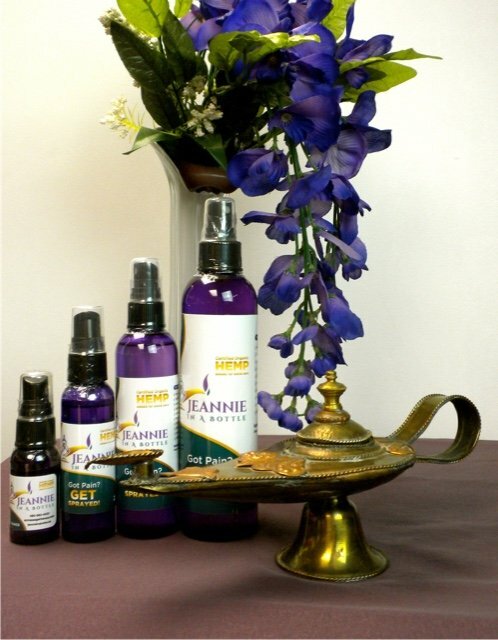 AZ MASSAGE & NEUROMUSCULAR THERAPY, INC.
Get your bottle today and say goodbye to pain! Experience all natural pain relief! Love that Jeannie In A Bottle! I absolutely love this product! It penetrates deep to target discomfort and muscle tension. And it works so fast! Thank you Jeannie, it is like having you in a bottle!! 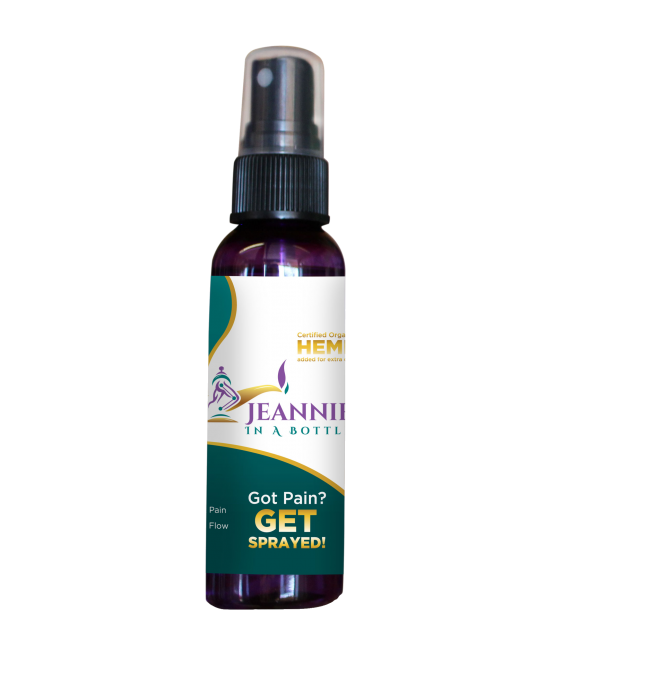 I have been using Jeannie in a bottle for the past 4 years for various ailments such as muscle pain in my neck, back and shoulders as well as hip and lower back pain. I also use it on my temples for headache which helps me tremendously. I was such a fan of it I told my husband to try it for aches and pains after playing seniors softball. He liked it so much he told some fellow players about it and they used it and kept asking him to borrow Jeannie. What can I say, I often get requests on where they can get it too. A great product I will keep using. Questions? We’re hear to help!